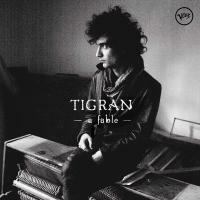 Titre(s) A fable / Tigran. Editeur(s) Classics & Jazz France, 2011. Contient Rain shadow. - What the waves brought. - The spinners. - Illusion. - Samsara. - Longing. - Carnaval. - The legend of the moon. - Someday my prince will come. - Kakavik (The little partridge). - A memory that become a dream. - A fable. - Mother, where are you ?. Notes Télérama No.3188 p.55 du 22/02/2011. 4/4. - Inrockuptibles No.798 p.88 du 16/03/2011. 3/5. - Vibrations No.131 p.131 du 22/02/2011. - Jazz Magazine No.622 p.67 du 22/02/2011. - Mondomix No.44 p.16 du 22/02/2011. - Openmag No.133 p.51 du 05/04/2011.